Vanilla Buttercream Frosting Recipe made with simple ingredients that can be piped or easily spread with a knife. This smooth and creamy buttercream sets up nicely and crusts slightly, making it perfect for base layers and decorating. I do have one rule though… I will not eat store bought cake. Too many years of working in corporate America with sad grocery store cakes has ruined me. That’s not to say that I don’t appreciate a good boxed cake mix (as you will see below) but I will forever and ever (amen) always prefer homemade frosting. 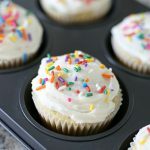 This Vanilla Buttercream Frosting Recipe uses simple ingredients and requires minimal technique to yield perfectly smooth and creamy frosting that can be piped or spread. 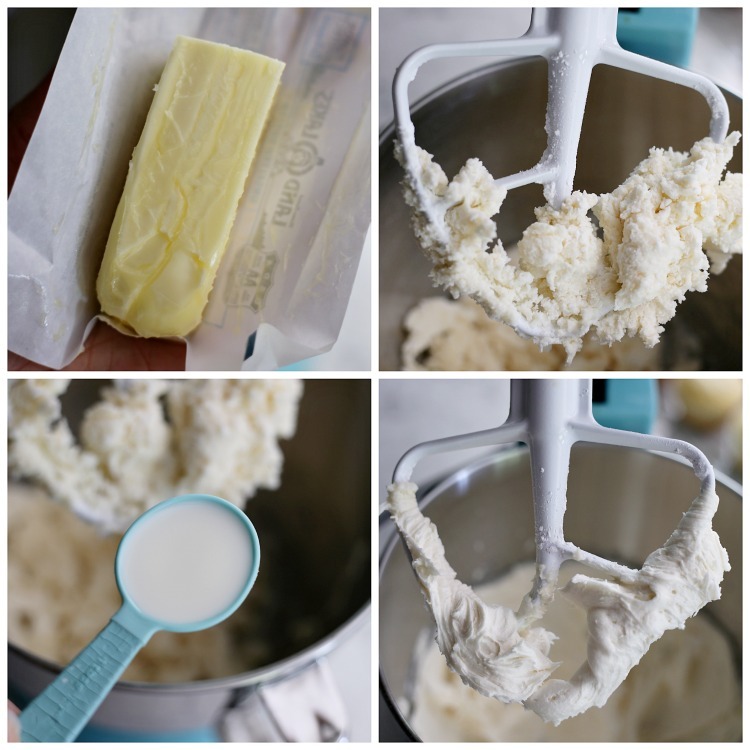 Softened butter is the key to smooth, fluffy buttercream frosting. I do my best to not use recipes that require softened butter, like my favorite Small Batch Chocolate Chip Cookies, but it is simply unavoidable when making buttercream. 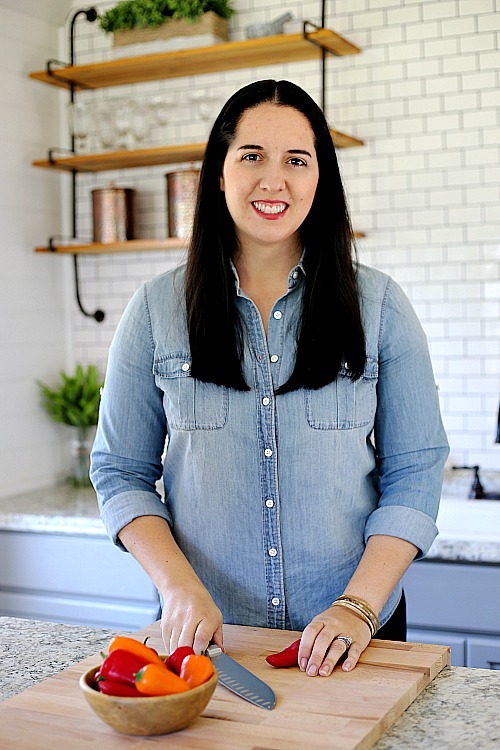 This post explains what room temperature butter actually means (and why it’s important)! TLDR: Set out your butter 1-2 hours prior to using, it should be cool to the touch, and should make a slight indention when poked. Rarely do I take the extra step to sift dry ingredients but I make an exception for this Vanilla Buttercream Frosting Recipe. 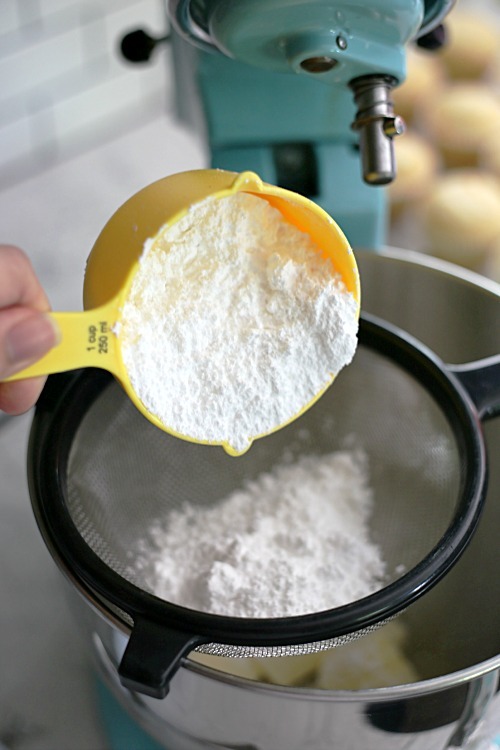 Sifting removes any hardened lumps and makes the sugar fluffier by adding air. 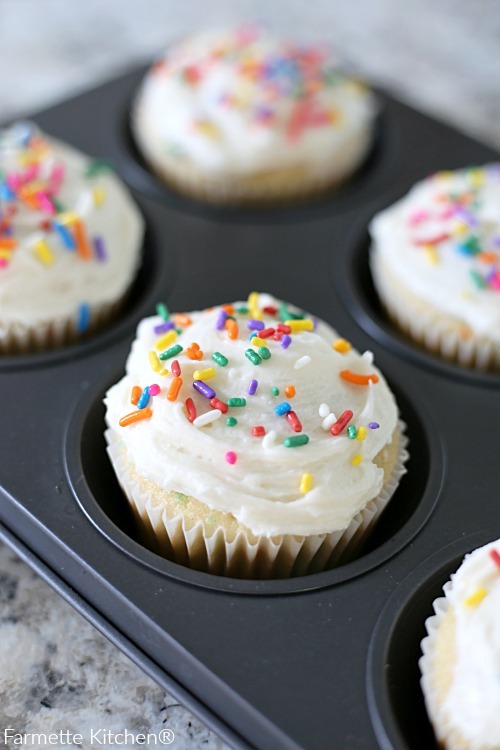 Frosting is the thick and fluffy mixture used to coat the outside of cakes or piped on cupcakes. It is generally made with creamed butter (buttercream) or shortening. Icing is thinner and glossier; used to glaze pastries or cookies (like these Old-Fashioned Iced Oatmeal Cookies). Icing typically only consists of powdered sugar and a liquid like water, milk, or cream. I know that some people feel about boxed cake mix the way I do about store bought cakes but I’m a fan. Do I wish the ingredients were a little “cleaner” and didn’t include things like propylene glycol and other preservatives? Sure. But you can’t beat the moist and consistent results from a boxed mix. 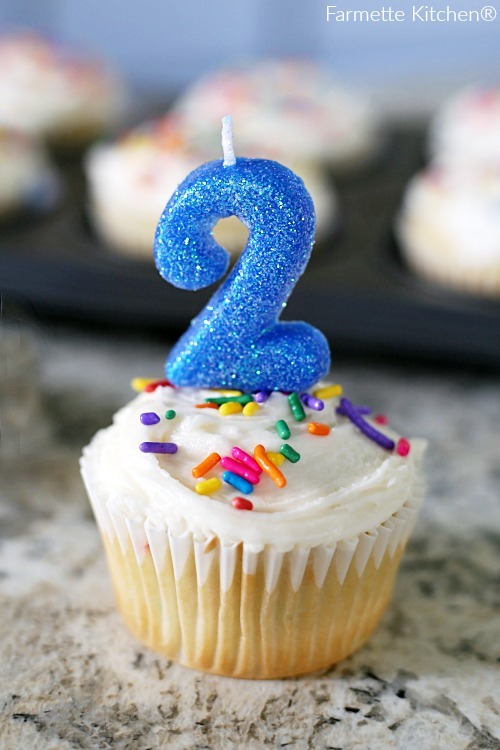 How long will buttercream last? You will get varied answers on how to store buttercream and how long it will last. Some sources say that buttercream will last up to two weeks in an airtight container in the refrigerator. Do you have to refrigerate buttercream? Buttercream is considered shelf-stable due to the large amounts of sugar vs the small amounts of dairy. For this reason, I don’t refrigerator buttercream after I have applied it to cakes or cupcakes. Can buttercream be made in advance? Another hot topic, but I do not make my buttercream in advance. This Vanilla Buttercream Frosting Recipe crusts very slightly which only means that it sets up firm to the touch. If you had to make this in advance, I wouldn’t do more than 2 days and I would mix it well prior to use. I strongly dislike piping frosting onto cupcakes. I don’t like washing the piping tips or the way the frosting inevitably slips out of the top of the piping bag. Not to mention it always seems to take forever. Another reason I love this Vanilla Buttercream Frosting Recipe is because it spreads so easily. 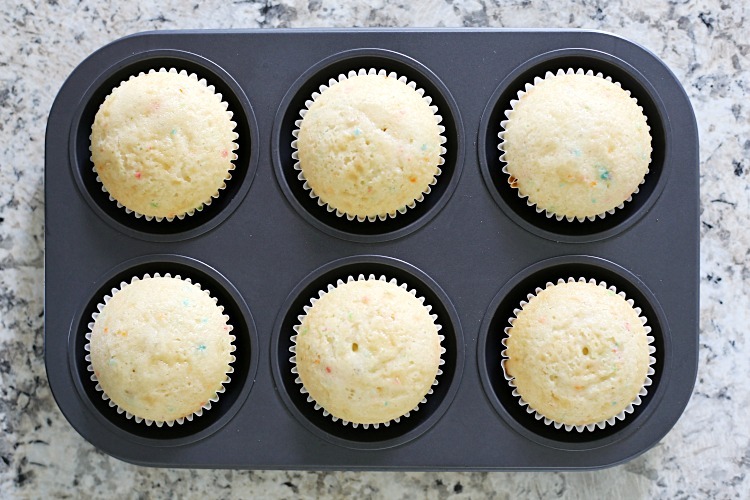 Use a flat spatula to scoop about 2 tbsp of frosting onto the top of the cupcake. Rotate the cupcake as you spread gently. Don’t push too hard or you will start to pull up the top of the cupcake surface. Soften the butter for 1-2 hours. It should be cool to the touch at room temperature. Add the softened butter to a large mixing bowl. Blend the butter and sugar until rough clumps begin to form. Add the vanilla and milk; beaut until the frosting is smooth and of spreading consistency. Slowly add more powdered sugar or milk as needed to reach desired consistency. 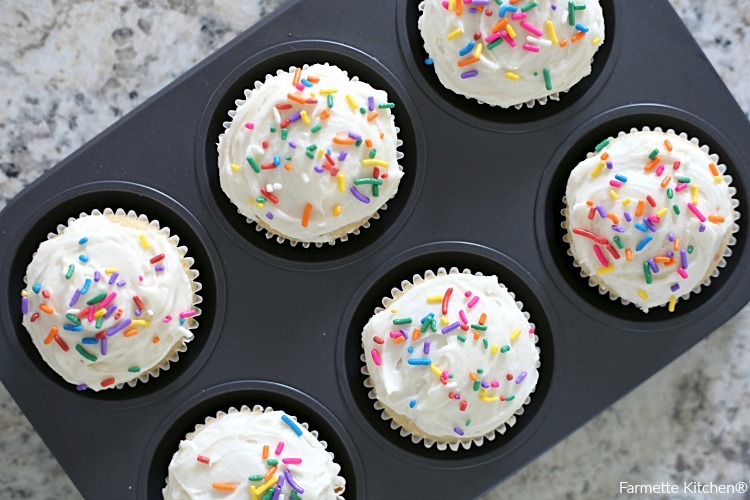 Have you been eating cupcakes the wrong way your whole life? Use the sandwich method for less mess and even frosting distribution! Made this over the weekend and everyone loved it thank you! 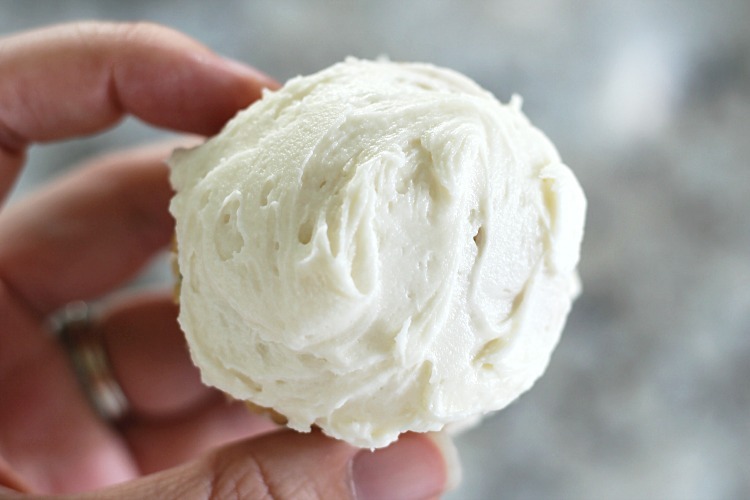 Totally needed a good buttercream recipe… and I agree that is the best way to eat a cupcake!! !